This morning I woke up to “Mr. Blue Sky” trending on Twitter. Now Electric Light Orchestra news doesn’t normally make headlines… so I feared the worst. Then I saw the trend was because of a cover; and, relieved that Jeff Lynne was OK, I still feared the worst. A cover, oh no! I’m going to be honest, I’ve never been into Weezer. I don’t dislike them, but I don’t search them out either. 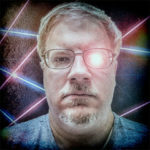 In my formative years when “Buddy Holly” came out, I was busy backtracking on decades of classic rock (as much as one could do before the internet existed) and just never followed up. When “Island In the Sun” came out, it just got way over played in my workplace radio for my taste. And, when the Internet exploded with meme after meme of Toto’s “Africa,” I didn’t care. I didn’t play it, didn’t hear it. I just figured it was just going to be some ironic cash-in – EVEN after they made a video with Weird Al in it. But holy crap was I wrong. 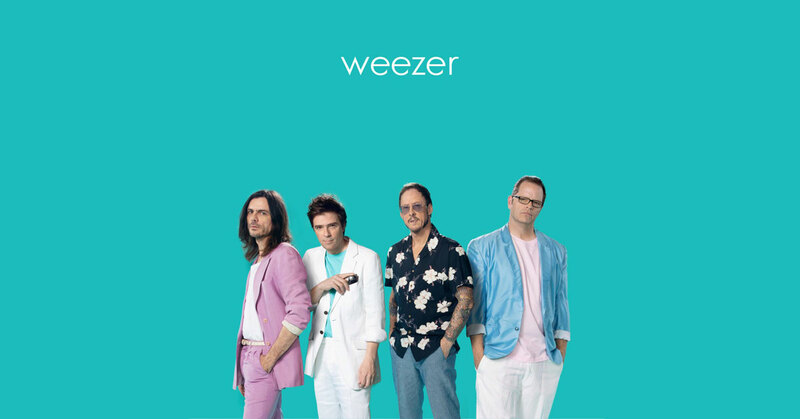 Turns out “Africa” was just a teaser for Weezer’s sudden album – “Teal,” a ten-track cover album. Apparently, they’ve done bunches of covers in the past as bonus tracks, but this is the first album dedicated to them. I’ve had my heart broken by covers before. A lot miss the mark; try too hard to make them their own; or outright make you hate the original. Others have been known to make them better. Weezer’s takes are great homages to the original – both making it their own and capturing the original’s essence. Starting with track 7, ELO’s “Mr. Blue Sky,” Weezer does and note-for-note rendition of the classic with great harmonies throughout. They even perfume the coda od the song, getting their electric guitars to mimic ELO’s signature cello-violin sounds. Track 1) Their take on Toto’s “Africa” is great. I’m sorry my cynicism and fear of the modern had gotten in the way of listening to it till now. Track 4) a-ha’s “Take on Me” – another good one! Not much to say, every track really is dynamite… but this one had 3 MIDI-esque glockenspiel chords in the beginning that just reminded me of the soundtrack to SEGA’s Phantasy Star II. Probably not going to be the most universal of experiences, but hey they say to make these articles personal. Final Verdict is this: GET THIS THING! There is not a bad track, even “No Scrubs,” which seems out of place to the rest of the track list. Two things are going to come from this album: kids are going to go in search of the originals and rediscover some cool new-old bands; and I am going to go back into Weezer’s catalog to rediscover that cool new-old band.